Availability: This product is discontinued and no longer available for purchase. For alternatives browse our Tennis Bags department. 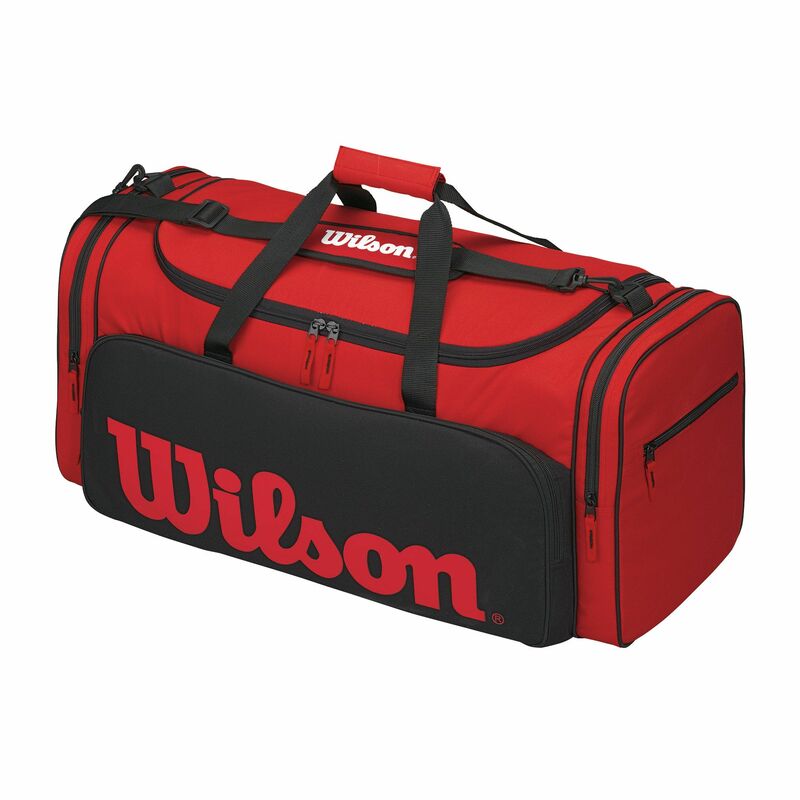 The Wilson Equipment duffle is a functional bag featuring one main compartment, side pockets at each end, as well as a side compartment. It is equipped with additional smaller pockets for all the necessities and has a shoulder strap and carry handles ensuring easy transportation. The bag is manufactured from Polyester (100%) and offers an eye-catching red/black design. for submitting product review about Wilson Equipment Duffle Bag.